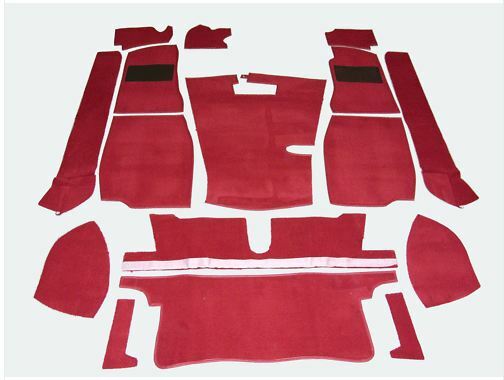 MGB Roadster 16 Piece full carpet sets in top quality hessian backed carpet with binding. This carpet set features tufted carpet that is very hard wearing and is similar in appearance to the original OE carpet sets. 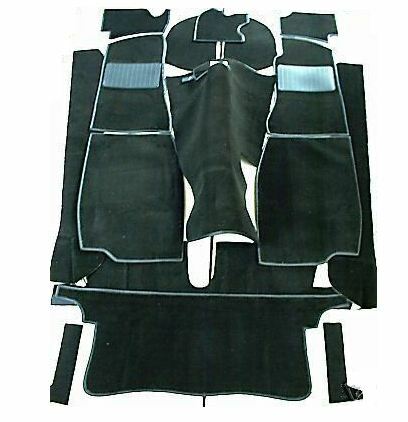 Complete with matching twin front footwell mats, this set suits both right & left hand drive cars and will add the finishing touch to your MGB Roadster. Wheelarch sections are made in soft backed carpet for ease of fitment and all other sections are reproduced faithfully to the original pattern. Binding has been added to cut edges to give a luxurious feel & end result! Other Colours 4 Weeks from time of ordering to delivery.